Watermarks can sometimes be difficult to remove because they’ve been added to the master page of your publication. Edit the master page, and you can delete or change the watermark. 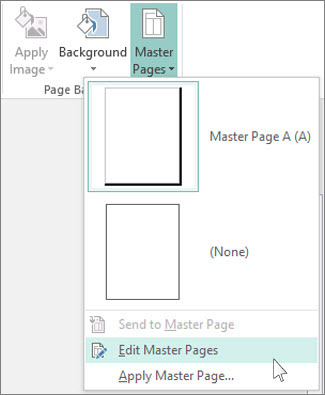 Click Page Design > Master Pages. Click the master page containing the watermark, and then click Edit Master Pages. Click the watermark text or image, and press Delete. Use these steps for each page that contains a watermark you want to remove.